Initially a concept created by the Polish interwar statesman Józef Piłsudski, Intermarium has made a comeback within frameworks such as Visegrad and the Three Seas Initiative as a unifying security strategy for Central and Eastern Europe. Over the last few years, however, one can see a two-way schism happening in which the concept has been taken or “hijacked”, as Matthew Kott described it in his article, by far-right groups of the region. While the security-military aspect of Intermarium has been kept, the concept has been given a philosophical backbone called “Ethnofuturism”. This philosophy contains a cultural and civilisational dimension that helps cement a geopolitical block of countries from the Baltic until the Black Sea. 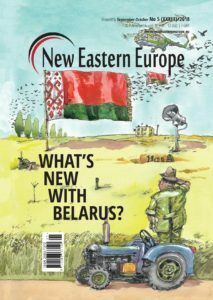 Especially in the case of post-Maidan Ukraine, the idea of Intermarium has blown up in popularity as the country perceived itself being left alone by its Western Allies while remaining exposed to Russian-led aggression. Among the most prominent far-right groups is the National Corps, which has made it a long-term goal to make a “sneaktrance” into Ukraine’s political mainstream while turning the country into a pivotal player in this new geopolitical alliance. 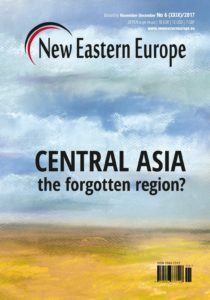 Lying at the core of the issue is the collective security dilemma many countries in Central and Eastern Europe face: being sandwiched between two major geopolitical powers. 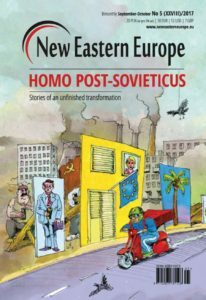 With the choice seemingly being between a “Neo-Bolshevik imperial Russia” in the East and “Gayropa” and Brussels in the West, the countries of the region chose to converge out of necessity. Sharing the collective trauma of loss of sovereignty to the Soviet Union, the regions are keen on history not repeating itself. This has motivated governments in the region to increase spending on shared military-security frameworks and has led their home-made far-right groups to openly adopt a philosophy of the “Third-Way”. At the forefront of internationalisation of the Ukrainian-led Intermarium wing has been the so-called National Corps, whose long-term goal is the creation of a new geopolitical block with Ukraine occupying a central role. 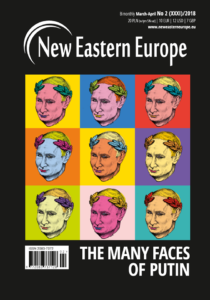 This leaves us with the question: why is Intermarium this attractive to Ukraine’s far-right and what have they been up to in the year since Knott’s article? The term originates from the idea of a security and military alliance based on the Polish-Lithuanian Commonwealth by Polish interwar statesman Józef Piłsudski. For Piłsudski the goal was to create the so-called Intermarium (Polish: “Międzymorze”, “meaning in-between seas”), a regional union and alliance uniting small, unaligned countries from the Baltic to the Black Sea. However, during the interwar period this vision of creating a geopolitical alliance never succeeded due to Ukraine and Belarus’ historical grievances with their neighbor, Poland. Overall the idea widely disappeared from the political mainstream until its reappearance in public discourse in late 2000. “Third-way” philosophies are strongly connected to the idea of a clash of civilisation, a hypothesis of the post-war world order in which a “cultural axis” is seen as a new dividing line for conflict. Revolving around an understanding of culture as essentialist, homogeneous entities that lead them to be at odds with other “cultures”, the concept is of interest to a strengthening far-right who has everything to gain from polarisation. If the “Third-Way” sounds a little reminiscent of the Third Reich, your thoughts might be heading in the right direction…The German Third Reich was an attempt to create a realm after the Holy Roman Empire and the German Empire which distinguished itself on a civilisational basis. 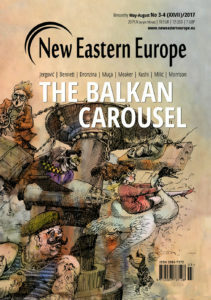 And while it has become a trend among the Ukrainian far-right to orchestrate themselves as ‘true Europe’ and part of a civilisational and historical heartland, much of the Ukrainian far-right argues that they are protecting norms and values from European radical cosmopolitanism. The trend of creating a culture-based civilisational framework not only found an entry-point into the political mainstream once again, but often honors and builds upon its interwar predecessors and has gained popularity among the Ukrainian population. With a rising popularity of Intermarium being pushed by the far-right, shockingly little has been done by the actual Ukrainian government to distance themselves from these developments. 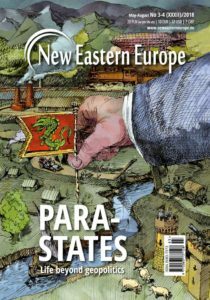 Recent years have shown that far-right groups have been overzealously engaged in developing a philosophical backbone to Intermarium called “Ethnofuturism”, particularly groups in the Baltics. As the driving forces behind the transnational network of the Intermarium project, they seek to cooperate with Ukrainian nationalists as well as Visegrad member states, promoting the philosophy through a multitude of platforms. Since they mostly rely on websites such as Tumblr, blogs and Instagram, one could argue that this new wave of far-right activists is a new generation of “millennial social media sensations”, just without the Avocado toast and a never-ending supply of white genocide memes. 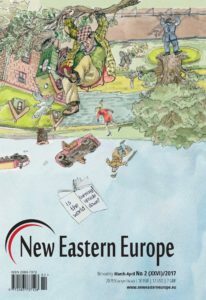 Originally being developed by nationalists in the region to unify and create a Slavic civilisational platform, the doctrine particularly tries to highlight cooperation between nationalist groups. 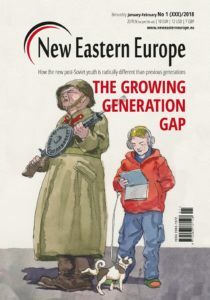 Stressing cooperation rather than competition, supporters view the construction of a unique Slavic identity and heritage as essential and that ethnic whites “should stick together”. Therefore, regional imperialism and supremacist thinking is interpreted rather as a hindrance than an asset. Moreover, as most definitions of ethnicity in the region are “primordialist”, meaning blood and soil-based, the philosophy itself centers around unifying these “authentic” regionally sourced identities with one another. Most Ethnofuturists share an understanding of humans and nature as being inherently intertwined in an all-worldly collective, very much like a living, breathing organism. While modernist understandings of rationalism and much of the Enlightenment have contributed to de-mystifying romanticist ideas of nature, this split between what is human and what is not lies at the core of shared ancestry and belonging to a homeland. Who else would profit from a strong idealised historical narrative of unity and cultural uniqueness than a country stuck in hybrid warfare with its neighbor? 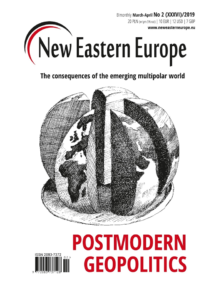 One can see how a worldview coined by Ethnofuturism and its mainstreaming intermingles with a debate about Intermarium, making it incredibly hard to dissect as to what it stands for. As mentioned earlier, the Ukrainian far-right has an interest in spreading the idea of Intermarium whereby the National Corps, a Ukrainian national military unit created by merging the far-right paramilitary organisation Azov into a political party in 2016, is among its strongest supporters. Touting transnational linkages, in recent years they have developed English speaking platforms such as the “Reconquista Tumblr” and their own YouTube channel, “Reconquista Ukraine”, on which they feature the latest developments in Ukraine and attempt to connect with other activists in the region. In one recent YouTube video titled “Alternative to the EU – Intermarium”, they start out with an analysis of how the post-Cold War “global security order” is in turmoil. They open with the statement that international agreements have become modern fiction following the breach of 9 agreements by Russia in Donbass and that the Budapest memorandum signatories, the countries agreeing to give up nuclear weapons in Ukraine in exchange for its sovereignty, have abandoned Ukraine. Thus, it is believed that the International arena has gotten back to “all against all”, and the European Union has no one to rely on besides itself. 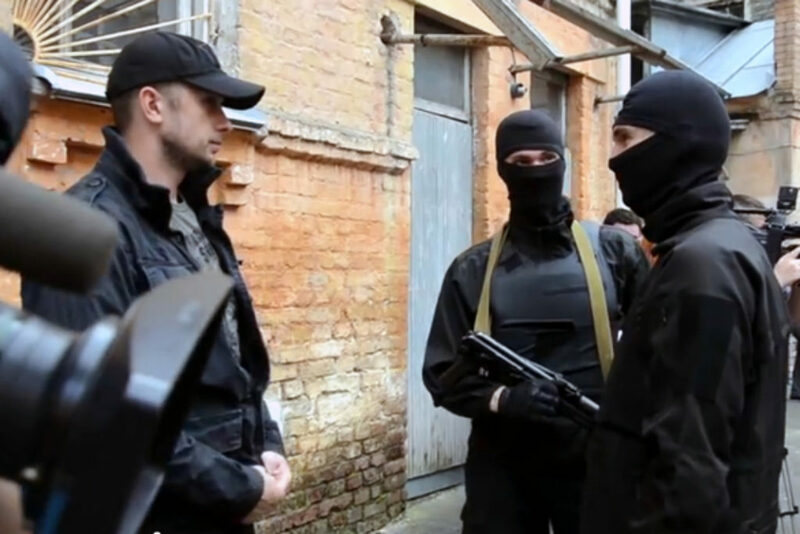 In this anarchic environment of international relations, Azov believes that the EU is torn up by internal crises and that their religious beliefs in bureaucracy make them unable to cope with “irrational threats of Islamic terror and Russian Imperialism”. As a consequence, the countries of what they call the “in-between” should form an alliance on their own terms, while the narrator says Intermarium has put down roots in mainstream governments of the region, such as Poland and Croatia. Their presidents, lobbying for a geopolitical community through the frameworks of Visegrad and the Three Seas Initiative, would demonstrate solidarity on topics such as migration and shared external security threats, they argue. Overall it seems the Reconquista network seems very satisfied with the mainstreaming of Intermarium, which does not come as a surprise in the current geopolitical climate of Ukraine. Elaborating on National Corps’ long term political goals at the time, Semenyaka describes the “little black men” task to not only guarantee the territorial defense of Ukraine but also contribute to securing “law and order” on Ukrainian streets. Moreover, the planning of a variety of sport, cultural and historical projects such as “Memory of the Nation” has become essential to the group. They aim to strengthen patriotic feelings and educate their youngsters in political history of the movement, “reseizing narrative control” on important parts of Ukrainian history. 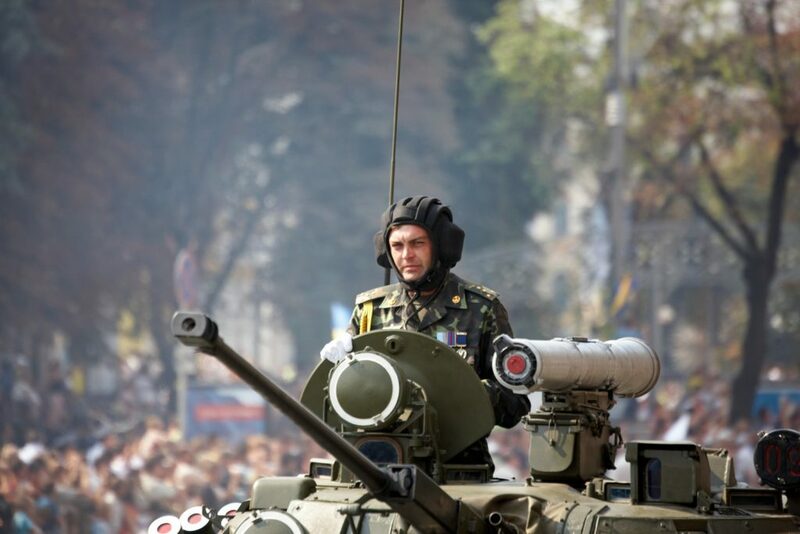 Focusing on the OUN/UPA’s activities in particular, the events in Kyiv put Kossacks on the center stage in reshaping and actively rewriting the Ukrainian public narrative (The Ukrainian Insurgent Army(UPA) was a Ukrainian nationalist paramilitary and later partisan army that engaged in a series of guerrilla conflicts during World War II against Nazi Germany and the Soviet Union). By promoting “ethnic realism”, the idea that ethnic groups should be separated by nation-states and are best flourishing in their “native lands”, the National Corps supports and shares Ethnofuturist philosophy. Moreover, Semenyaka sees Ukraine in the forefront of guaranteeing a shared security and military structure in the region due to its nuclear capabilities. The existence of a nuclear shield against the East and West and integrating into a regional security structure in Ukraine, Semenyaka claims, would ultimately prevent the spread of Putin’s neo-Eurasianism. Overall, contributing to a shared military and security structure would benefit the proponents of Intermarium’s entry into the political mainstream. This process has been subtly titled after famous left theorist Gramsci’s “entryism”, describing a long-term process of challenging political hegemony in a given state by carving out and undermining the system from within. In the case of the National Corps strategy, I invented the term “sneaktrance” to distinguish their particular type of entering the political system, which relies on gas lighting the public on the real intentions of the movement. In the one year after Matthew Kott’s article we can indeed see not only a “hijack” of the Intermarium concept by the far-right of the region, but also the attempt of a “sneaktrance” into their respective countries’ political system. 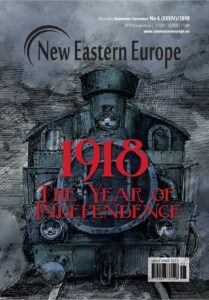 In the case of Ukraine, the analysis of Reconquista Youtube sources, Tumblr, as well as National Corps’ international secretary Olena Semenyaka’s speech at the Etnofuture conference, has shown that the Intermarium strategy remains an integral part of the parties’ long-term political strategy in which they emphasize cross-country cooperation and planning of educational events for their youth. Especially the strong focus on cooperation with far-right groups from the Baltic States demonstrates the National Corps’ willingness to continue strengthening the Intermarium Strategy and blurring the lines between a security military alliance of Intermarium with its far-right contender. 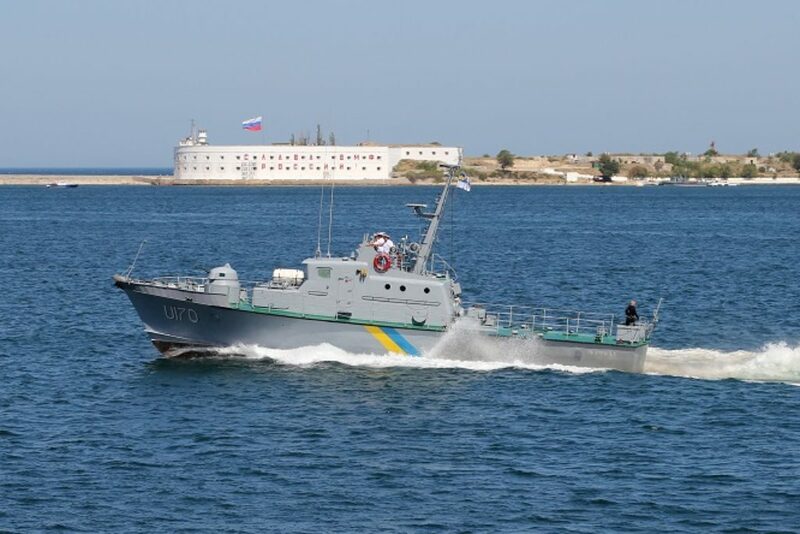 While Ukraine sees itself as vital provider of security and military power within the alliance, the National Corps is aware that the success of the implementation of Intermarium relies on a long-term strategy and bridging historical grievances in the region. Overall, one can see how establishing a “Third-Way” approach to the current geopolitical climate is very attractive to the Ukrainian far-right; they cannot be friendly with the Russian regime like Western far-right groups are able to do, so the need arises to define themselves in a unique, culturally distinct way to justify a breaking away from Europe. Thus, it seems like these groups will continue thriving in this climate as the Ukrainian state has shown low resilience in distancing themselves from far-right actors. 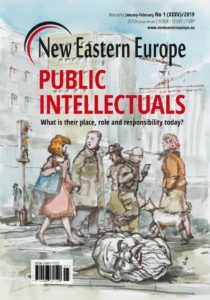 And while Ukrainian far-right groups happily tinker with new ways of entering the political mainstream, the political philosophy of the “Third-Way”, Ethnofuturism, has given them a set of goals and principles to implement in the near future; something that should potentially scare the life out of us. Alexandra Wishart is pursuing her Master’s degree in the CEERES program at the University of Glasgow, Scotland. Holding a BA in Cultural Anthropology and Development Studies, she focuses on matters of culture and ethnicity in the post-Soviet space. She is passionate about political activism, economy and social movements in Eastern Europe and the Baltic States. 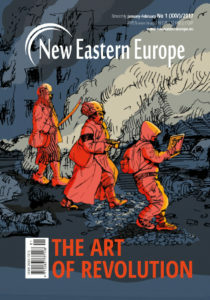 This article is part of a collaboration between Lossi36 and New Eastern Europe. Lossi 36 is a student-led initiative. 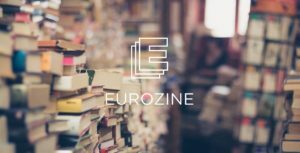 It seeks to rally people who are passionate about the post-socialist states of Central and Eastern Europe, Russia and Eurasia around a common project.